Recruitment 2018. Last date to submission of application online for this SSUPSW BISPS Recruitment is 10-12-2018. Interested candidates can submit their application form online for this SSUPSW BISPS vacancies through official website of www.sids.co.in. 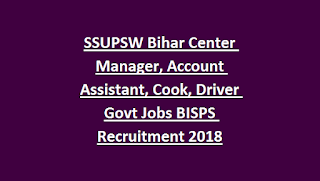 Selection for this BISPS Bihar vacancies will be based on previous work experience and interview. Post wise vacancy details, qualification and other details are given below. There are total 167 vacancies in this Bihar State Social welfare department BISPS Project. Upper age limit is 55 years for this SIDS BISPS Project recruitment. Based on merit in qualification, written exam or interview candidates will be selected. This recruitment is purely contract basis in BISPS Project till March 2020. Candidates must have good communications skills and MS Office knowledge. . 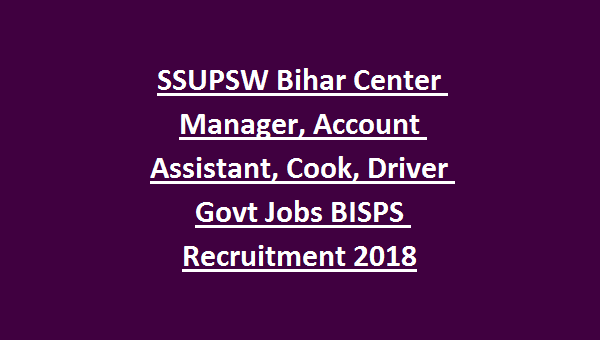 Candidates who are interested they can apply online for this SSUPSW BISPS recruitment before the closing date of 10-12-2018. Official website to apply online is www.sids.co.in.